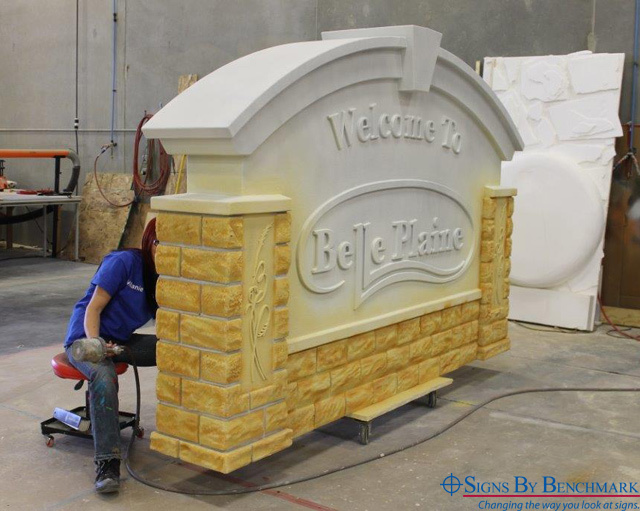 While designing a new community welcome sign for the City of Belle Plaine, MN, CD Products, Inc. of Waconia, MN called on local elements that would make the new sign look right at home. 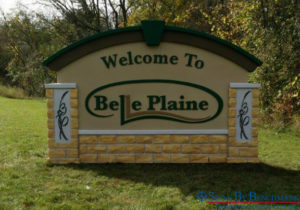 Using Signs By Benchmark’s Standard Model #2 as basic design, CD Products used the colors of the Belle Plaine city logo and the appearance of a nearby limestone bridge to customize the sign for its client. 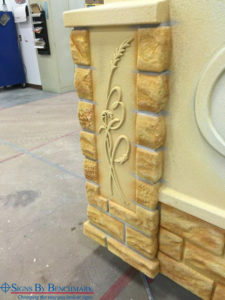 The result was a unique, multi-color 120” wide x 78” high x 22 5/16” deep single sided monument sporting embossed foam copy and motifs with hand carved EIFS block base and columns. Visitors spot the beautiful sign just after crossing the bridge that is the gateway to the community. Seamlessly coated with Signs By Benchmark’s signature hard coat, the monument will stand against extreme weather conditions far into the future as it welcomes all who visit the community of Belle Plaine. Signs By Benchmark is a division of Benchmark Foam, specializing in custom exterior and interior signs and components such as bases, poles and tops. To learn more about its products, check out the website at www.SignsByBenchmark.com, email the team at signinfo@benchmarkfoam.com or give them a call at 800-658-3444 or 605-886-8084.